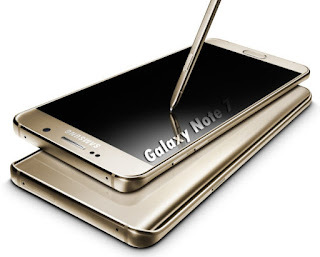 Rumors coming out of Korea suggests that Samsung is skipping the Galaxy Note 6 and going straight to launching the Samsung Galaxy Note 7 instead. According to the report, Samsung is concerned that some customers were thinking that the Galaxy Note was an outdated product because it was always one number behind the Galaxy S flagships. Due to this, Samsung is aligning the naming scheme and calling this year’s note, the Samsung Galaxy Note 7 instead of Note 6. Last summer, Samsung generated a bit of confusion and controversy when it launched the dual-edge Galaxy S6 Edge+ and the more regular Galaxy Note 5 at the same time. The confusion stemmed from their overlap in functionality, while the controversy bubbled up when Samsung decided to only offer the dual-edge device in Europe, leaving one of the world’s most important smartphone markets without a flagship Note device for the first time since the series’ inception. Now Samsung has apparently decided to streamline and simplify. Skip the Note 6 name in order to sync up the numbering between the Galaxy S and Galaxy Note series on “7”, while also melding the Edge+ and Note into a single device. The Korean company is convinced that its dual-edge displays are a big selling point, and so it makes perfect sense that it would eventually turn them into a default flagship feature without needing to designate the device itself as an “Edge.” This year’s premier Galaxy S7 was the Edge variant, and next year’s probably will be too, but odds are good that it might just be named the Galaxy S8, with the dual-edge display becoming a standard flagship Samsung feature. ET News suggests that the presumptive Note 7 will have the same curvature on both the front and back of the device, and might enter production as early as July. This leaves open the possibility that it could launch even earlier than last year’s phablets, which were in themselves released ahead of the usual Note schedule. This accelerating cadence from Samsung is said to signal a desire to shift its stylus-equipped large phone earlier in time from the September-October timeframe, which is typically dominated by Apple’s latest iPhone release. Product numbering may seem like a trite marketing consideration, however there’s a rich history of companies paying close attention to it. On the software front, BlackBerry leapt multiple numbers forward when it transitioned from BlackBerry 7 to BlackBerry 10, and Microsoft did a similar thing by skipping Windows 9 and jumping from 8 to 10. For Samsung, the synergy between premium Galaxy products makes a lot of sense — plus there’s no harm in having a Note 7 to put up against the presumed iPhone 7 Plus coming from Apple in the fall.